bitter tee. I couldn't stop lololololing xD. 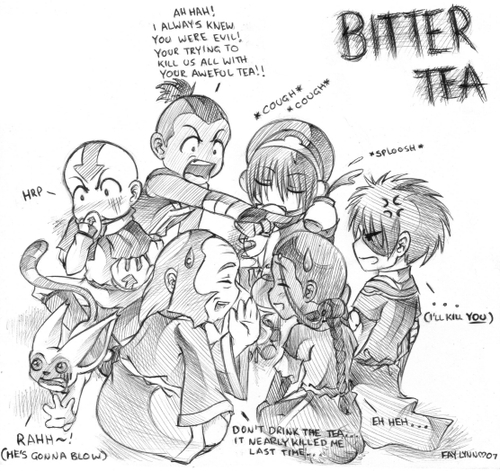 Wallpaper and background images in the Avatar – Der Herr der Elemente club tagged: avatar the last airbender. This Avatar – Der Herr der Elemente fan art contains anime, comic, manga, cartoon, comic buch, karikatur, and comics.